Thanksgiving is a time of year when friends and family gather around a lovingly prepared meal, enjoy an evening together, and recall all of the things in our lives that we have to be grateful for. It is a wonderful time for everyone attending your holiday meal. However, if you are the one has who graciously volunteered your time, energy, and home to host this year, then there are lots of details for you to cover in a short amount of time. One of the things that we start to see here at our local wine store in Johnstown is lots of people asking questions about what wines pair well with traditional Thanksgiving dinners. Here at Northstar Liquor Superstore, any of our knowledgeable staff are happy to help assist you in finding the perfect wine for your holiday meal, but we also thought that putting together a short list for you to choose from might help you be a little better prepared, and a little less stressed this holiday season. Read on to find the best wines to pair with your Thanksgiving dinner, and stop by our wine store or contact us online to get help choosing the perfect brand for your meal. The following wines have been chosen by our expert staff because they represent an arrangement of bold, fruit-driven flavors while remaining moderate in their acidity and tannin content. These varietals will complement the standard fall spices and flavors commonly found in a Thanksgiving meal. Wines of this type will bring the best flavors out of a traditionally cooked turkey without risking an overpowering or spicy profile that threatens to prevent your guests from enjoying the bountiful feast on the table in front of them. Once you have chosen to type — or types — of wine you want to share with your guests, stop by our wine store and allow one of our educated staff to help you find the exact labels that will fit your meal and your budget best. Zinfandel may very well be one of the most widely consumed wines over the Thanksgiving weekend. Over the last couple of decades, it has been popularized both because of the quality of the grapes produced domestically in California and because of the way its bold and rich taste brings out fall flavors like allspice, cinnamon, and clove. Additionally, the higher alcohol content of this wine will hold up well with the darker cuts of meat from your Thanksgiving turkey. Pinot Noir is a crowd-pleasing wine that has a rich and storied history. As one of the two primary products of the Burgundy region of France (the other being Chardonnay), Pinot Noir has served as a feast wine for hundreds of years. It’s bright red-fruit flavors and light body makes it ideal for more simple seasoned dishes as well as cream-based dishes like casseroles and mashed potatoes. If you are serving a cranberry sauce of stuffing with cranberries in it this year, don’t miss out on the chance to wow your guests by pairing their meal with a beautiful Pinot Noir. Another traditional French wine that has a reputation for adorning fall feasts is Beaujolais Nouveau. The Gamay grapes that construct 100 percent of this seasonal wine are harvested at the perfect time for them to arrive bottled and ready to drink at your Thanksgiving meal. With a juicy flavor and earthy finish, Beaujolais is a wonderful balance for a table laid with salads, squash dishes, and white meat turkey. GSM blends are a common and popular choice among wine lovers. A GSM blend contains the varietals Grenache, Syrah, and Mourvedre. These wines are the kings of red table wines and pair well with a broad selection of dishes, making them perfect for the cornucopia of foods to be found at your Thanksgiving feast. They tend to have a decent body and typically can be expected to portray dried red fruit flavors like fig. They are an excellent choice to pair with grandma’s amazing stuffing recipe and complement rich gravies nicely. Many Thanksgiving tables will find themselves adorned with a sweet, brown sugar and honey glazed ham in lieu of Turkey — or possibly both. The wines below represent the best grapes for pairing with a heartier, slightly sweeter primary dish at your holiday table. 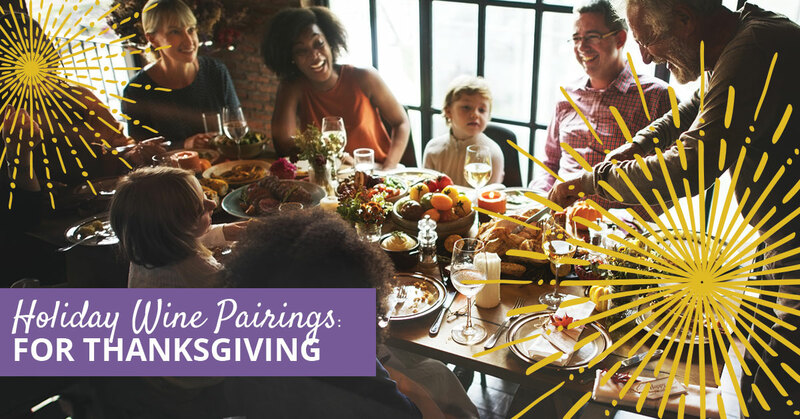 Take note of the wines that show up in both categories as they may provide you with good options for playing the entire field if you are serving both types of traditional Thanksgiving proteins this year. The smokiness and medium bodied nature of a Zinfandel make it appear on this list of wine pairings as well. That slight hint of smoke and its natural ability to help natural sweet flavors like cinnamon and brown sugar act more pronounced make a Zinfandel a lovely choice for your Thanksgiving table regardless of the main dish that you are serving. This sweet, acidic wine originates from the Rhine River region and is nicely balanced. Many wine enthusiasts describe it as having an almost perfume-like aroma mixed in with a slight amount of minerality. Rieslings tend to pair well with sweeter dishes like a Thanksgiving ham and do a nice job of cutting through a rich glaze and allowing the wine to still speak for itself. Chenin Blanc is another sweet, dry white that pairs well with heartier rich dishes like a glazed ham. This wine is approachable for guests who may not typically choose to drink wine outside of a holiday like Thanksgiving, and it has the added benefit of pairing well with many traditional Thanksgiving desserts like pumpkin and pecan pie. When choosing a Chenin Blanc, make sure to get a recommendation from an in-store wine expert or do a little research as this grape does tend to be little more sensitive than others and can produce a rather bland flavor if the vines were not well cared for or unseasonal weather affected the grapes. Volpicella provides a bright, red cherry driven profile on the back of a full-bodied wine that can hold up to rich, robust tastes like that of a smoked or honey glazed ham. Although many wine pairings for glazed ham are typically white wines, this red holds its own and has the added benefit of being a pleasing new varietal for many people who only drink wine on occasions like Thanksgiving. The dried cherry, dried fig, and raisin flavors further the fall harvest experience of your meal and will surely receive a warm welcome from your guests. 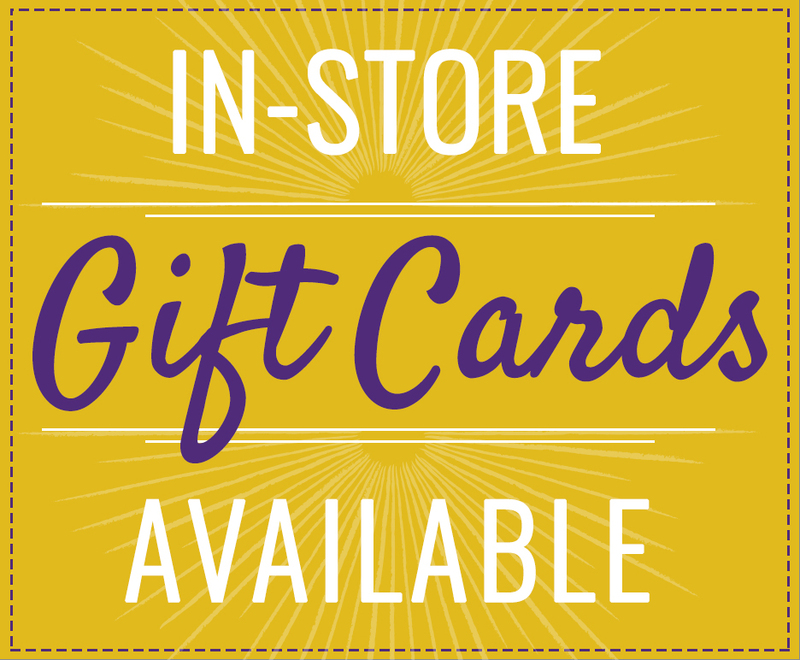 Stop by our wine store in Johnstown or contact us online today and find the perfect wines for your special family gathering this year. We have thousands of brands at unbeatable prices, so we can make sure to find the perfect fit for your table and your budget. Happy Thanksgiving from our family to yours.